Love Yourself Beauty Online: New Avon Representative Guide! 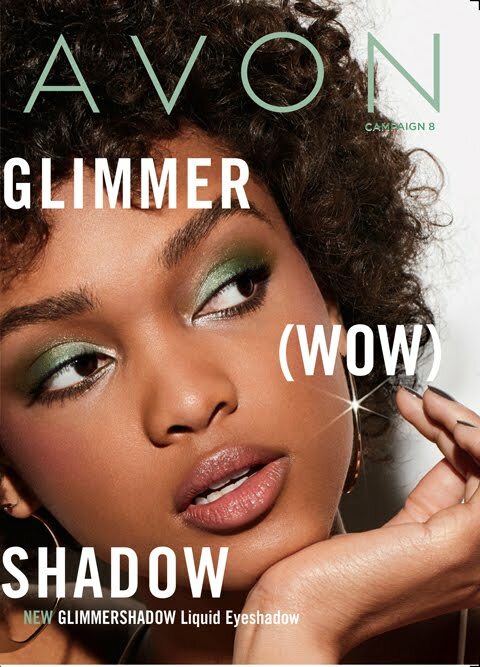 I've just started my Avon business and I'm really excited. Now, how do I get customers? Spread the word! Tell everyone you know that you sell Avon. Wear the makeup, clothes, and jewelry to promote the latest Avon looks. Share the latest brochures and distribute them everywhere you go (always keep a few in your bag!). And share the link to your personal Avon online store so people can shop with you 24/7. If you have a smartphone, make sure to download the Avon Social Media Center app. The posts you share from the app link directly to your online store, so anyone who clicks will be shopping with you! Where do I get my Avon brochures? Are they free or do I need to purchase them? Avon brochures are essential to running a successful business. Your Starter Kit includes brochures for your first campaigns of selling. Brochures need to be purchased and are available in packs of 10, and the cost varies depending on how many ordered—the more you buy, the lower the cost. And with the KickStart Program, Avon will supply new Representatives with one pack (10) of free brochures with a YourAvon.com order of $50 or more in LOA 1-5. The free brochures arrive right in your YourAvon.com order. Make it a habit to purchase brochures every campaign order so you have fresh products to share with friends and customers every campaign! How do I know when my order is due? When you log into YourAvon.com, you'll see the date and time that your order is due on the "My Orders" page. You may also contact the Avon Customer Insight Center (English: 1-866-513-2866, Spanish: 1-866-588-2866) or your Avon Mentor with any question on order submission deadlines. 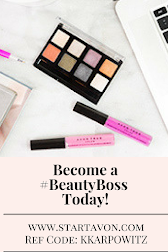 How do I earn as an Avon Representative? You earn with Avon and get paid when you collect money from your customers. During the ordering process, you pay Avon for the products you purchase on behalf of your customers. And when you collect payment from your customers, the earnings from the price difference are your profit – the difference between what you pay Avon and what your customer pays you. For example, say your customer wants to purchase an Anew skin care product priced at $28 in the brochure. When you place your order, you pay $16.80, provided you've hit your KickStart sales goal and are earning 40%. That $11.20 difference is your earnings. Are there any other ways I can earn? There are tons of different ways to earn with Avon! Avon runs a variety of incentives and programs in which you can earn rewards for hitting certain targets (these rewards are in addition to your usual campaign earnings from your orders). You can choose to receive any cash rewards you earn from an incentive via direct deposit to your bank account (our recommendation!). The money you earn will be deposited directly into your account. If you choose not to receive earnings by direct deposit, they will be add to a Visa pre-paid card that will be mailed to your address. Once you receive the card in the mail with your first earnings, additional earnings will be automatically added to your card as you accumulate them. In addition to incentive rewards, if you become a member of Avon's Sales Leadership program, your Leadership earnings will also be transmitted to you via direct deposit or pre-paid card. Learn more about our Leadership program on YourAvon.com > Sales Leadership. What are the shipping costs for my orders each campaign? When you place an order on YourAvon.com, choose "Regular Shipment," and we'll combine all those orders into one shipment that will be sent to you on your scheduled ship day. Need it faster? Get your order shipped the next business day for a small upcharge by choosing "Ship Separate." All new Representatives earn 40% on their first order regardless of order size! You can continue to earn 40% on your entire order by achieving the KickStart sales goals in your 2nd through7th campaigns. If you miss a sales target, (and for all Representatives after the KickStart period ends) your earnings are based on the chart below. Your orders are made up of both variable earnings products (Beauty and Jewelry) and fixed earnings products (Fashion and Home). Fixed-earnings items are marked with a special symbol ( ) in each brochure. Your earnings level on these products will be 20%. Representatives who achieve status in the President's Recognition Program members earn up to 50% on Beauty and Jewelry and 25% on Fashion and Home. Do my online customers' purchases count towards my earnings? Absolutely. 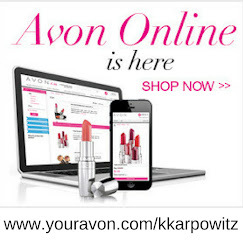 Online customers are a great way to build your Avon business and you'll earn the same on your online store sales as you do on YourAvon.com orders. Your online store is a great tool for growing your business—your customers can shop from you anytime, anywhere! How do I pay for my Avon order? When you place your order online through YourAvon.com, you can choose to pay through Visa or MasterCard credit or debit card, Discover card or Avon QuikPay. You can also process customer credit card information on YourAvon.com. Whenever possible, process payment for orders in-person with your customers, so you don't need to write down any sensitive personal information. Just log in to your YourAvon.com account and enter payment while the customer is there or on the phone. As a reminder, always enter in the zip code associated with the credit card information used. You can also use our automated phone system, FAST Talk, to provide payment information for your order. Can my customers pay by check directly to Avon? I heard that I can get credit with Avon. How do I go about getting that? A Campaign Credit Limit may or may not be extended based on the information you provided when you enrolled, or for other business reasons. You can view your base Campaign Credit Limit by visiting the "Additional Information for You" section on the YourAvon homepage. I received a Campaign Credit Limit! What now? If you were given a Campaign Credit Limit, you have been assigned an amount from Avon to put toward your order amount each campaign. If you choose to use your Campaign Credit Limit, you must pay the balance before your next campaign's order is processed. If you don't place an order in the following campaign, any payment balance is still due by 11:59 p.m. local time on your order submission date. Any past-due balance may be subject to a late payment fee for each campaign that the balance is past due. What does it mean if I didn't get a Campaign Credit Limit? If you were not granted a Campaign Credit Limit from Avon upon enrolling, you'll need to pay for your order in full when you submit it. Any previous balance must be paid in full and posted to your account before your order can be released. What happens if I want to upgrade my Starter Kit or order another one? Kits are limited to one per Representative at the time of enrollment. However, there will also be plenty of key bundle opportunities for you to look out for in upcoming campaigns! These are additional opportunities to get key product bundles at a Representative-only price to assist you in your selling endeavors. How do I learn more about how to build my business? Are there any trainings I can take advantage of? Our Avon community is here to support and partner with you to ensure your success. 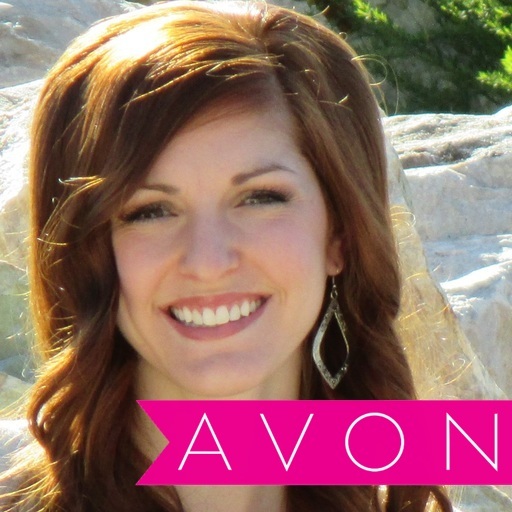 There is various training and skill building information available on YourAvon.com, AVON U and during local events and workshops scheduled throughout the year. Also, be sure to read your Avon Beauty Buzz email and check the Beauty Buzz blog on YourAvon.com to learn when our monthly Sales Meetings are held. These meetings are virtual and a great opportunity to know the latest product launches of each campaign and to listen to tips that will help you to succeed in your business. I want to promote my business online and through social media. Are there any guidelines I should follow? Yes! Visit the Social Media Center in your Web Office, where you can find all guidelines and best practices under "My SMC."